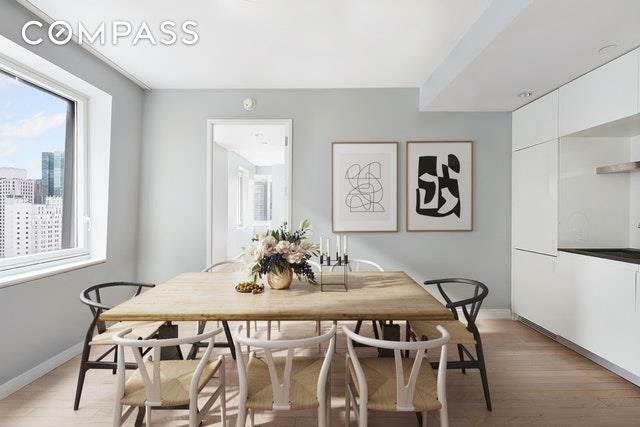 Welcome to Cassa Hotel & Residences, setting a new standard for impeccable Manhattan living that's totally flexible and unfailingly stylish. 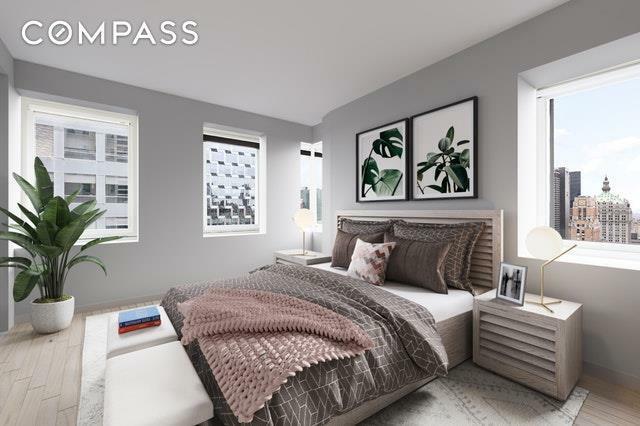 Considered the most Investor-Friendly building in NYC with low carrying costs and only 30-day rental minimums, you can have it all or pay a la carte for just the perks and services you require. 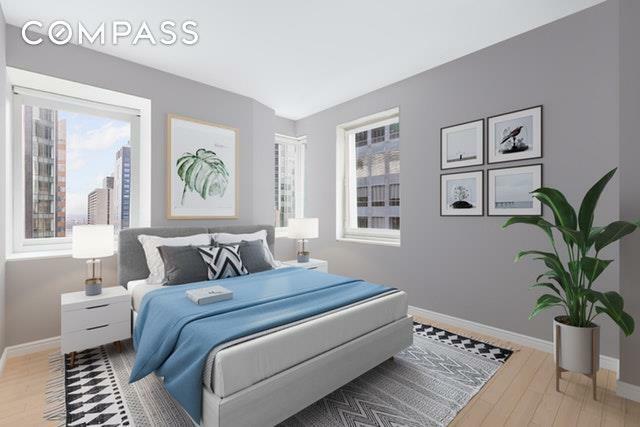 The perfect pied-a-terre!This split two-bedroom on the 44th floor boasts East, West, and North exposures flooding the home with sunlight, and iconic city views. 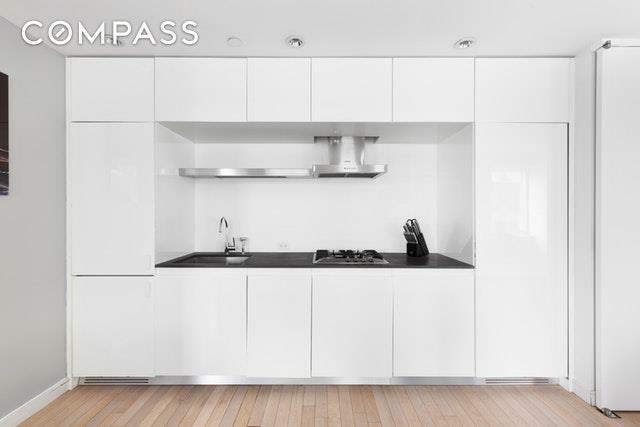 The thoughtful interior features an elegant palette of pale wood, limestone, and stainless steel. The designer chef kitchen sports white lacquer cabinetry, stone countertops and top of the line appliances that, and spa-like bathrooms boast travertine, frosted glass and, modern fixtures.Cassa residents enjoy access to an impressive list of five-star hotel amenities, such as concierge service, housekeeping, room service, a world-class restaurant, business center, fitness room and, storage. And Cassa's sizeable list of a la carte extras makes daily living a joy, including valet, childcare, fresh flower delivery, restaurant and ticket reservations, pet grooming, in-room spa treatments, and so much more.Conceived by TEN Arquitectos and CetraRuddy, this iconic structure dazzles with distinctive cascading windows decorating its chic white faade. Enter the dramatic lobby to take in Italian lacquer and glass accents, international artwork and a spectacular glass bridge leading to the private garden courtyard with a full bar and dining area. Buzzy celebrity hangout Butter restaurant helmed by renowned Chef Alex Guarnaschelli rounds out this fantastic offering.Located on 45th Street near Fifth Avenue, you don't get more "middle of it all" than this with half a dozen Michelin-starred restaurants within minutes, including Gabriel Kreuther, Aureole, Satsuki and Ai Fiori. Bryant Park, with its year-round schedule of events and attractions, is situated just three blocks south and Rockefeller Center is only four blocks north. Transportation is effortless from this central district with B/D/F/M, 7, N/Q/R/W, S, 1/2/3 and A/C/E trains at your disposal. Listing courtesy of Aaron Seawood of Compass.